urmmmmm, originally uploaded by indiaeden. It's a crushed plastic coke bottle lid...bleurghh! I have already phoned Tesco, and now we have to take the can back to the store, for a "foreign body investigation". 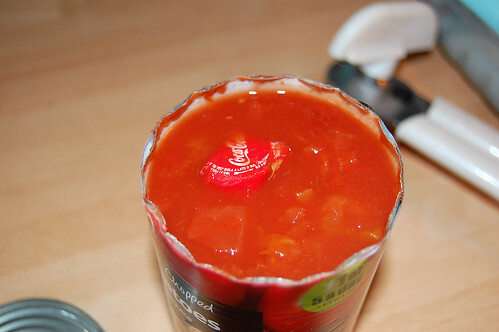 Kinda put me off my dinner , despite spotting it before using any of the tomatoes. Ugh. I think that just put my dinner off. Eww! So glad you saw it as soon as you opened the can, so you didn'y use any of it. What did you end up making? I am on the computer in hopes of finding an idea for supper, but I don't think it's working, since I'm looking at your blog, not at a cooking site! Hope your family is having a good day. Oh my word. Thank god it was on top. Gross!! Eww! At least you found it before you used them! Glad you spotted it before you cooked them! I found I was chewing on a piece of green twine in my salad tonight with my dinner - we did get the meal for free but it put right right off my meal! I found a massive dead caterpillar in a can of vegetable soup many moons ago, but that felt ok...like the veg might actually have been fresh at one point LOL! Eeek! At least it wasn't a cockroach. 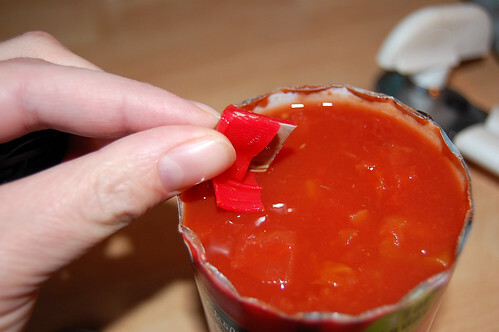 make sure they don't give you a years worth of the same tinned tomatoes as a good will gesture!